Browned butter is one of those ingredients that you really can’t go wrong with. It is delicious and improves just about anything that you might add it to by giving it a nutty and subtly addictive quality. 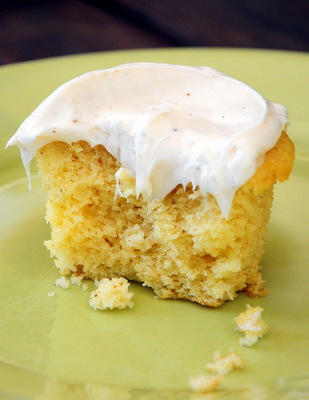 These Browned Butter Cupcakes definitely deliver a good brown butter flavor, but, thanks to a double dose of this “secret ingredient” in the cake and the frosting, they’re not too subtle about it! Browned butter is made by cooking butter until the milk solids in it begin to brown and caramelize. This gives the result butter a rich, toasty flavor and a beautiful brown color. It can be used just like any other melted butter (although it will solidify if you refrigerate it) in a recipe. These cupcakes are made with brown butter, which gives them a wonderfully nutty flavor and a moist, tender crumb. You can taste both the vanilla and the browned butter in the finished cupcakes. You can taste the browned butter even more clearly in the cream cheese frosting that I finished these off with. In the frosting, the browned butter flavor really pops against the slightly tangy cream cheese, giving the frosting a lot more dimension than you would expect! I will warn you, however, that the frosting might be even more addicting than the cupcakes themselves are. This frosting could be used with other recipes, too. It would make a nice topping for a vanilla cake and would go extremely well with a spice cake. 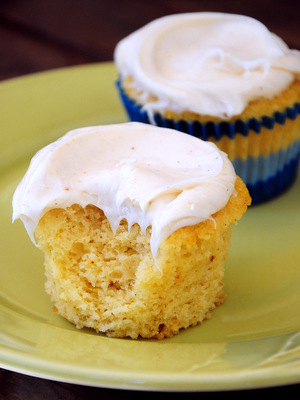 To save time when making these cupcakes, I often brown all the butter for the cupcakes and the frosting all at once, separating out a few tablespoons of butter to flavor the frosting before making the cupcakes. If you are browning the butter for the frosting separately, it is worth noting that you can brown butter in the microwave instead of a saucepan and, while you do need a large bowl (covered with a paper towel), this makes browning small amounts of butter very easy. Preheat oven to 350F. Line 16 muffin cups with paper liners. In a small saucepan, melt the butter. Continue to cook it over medium-high heat until it begins to brown and take on a golden color, about 4-5 minutes. The butter will cook quickly once it starts to brown. Transfer to a bowl and allow to cool to room temperature, making sure to scrape all the brown bits out of the pan with a spatula. In a large bowl, beat together the cooled browned butter and sugar until well-combined. Beat in eggs, adding them one at a time, followed by vanilla extract. Stir one third of the flour mixture into the browned butter mixture, followed by half of the milk. Stir in another third of the flour mixture, followed by the remaining milk. Stir in remaining flour, mixing just until no streaks of dry ingredients remain. Bake for 15-19 minute, until a toothpick inserted into the center of the cupcake comes out clean, or with just a few moist crumbs attached, and the top springs back when lightly pressed. In a small saucepan, cook 3 tablespoons of butter over medium-high heat until browned (3-5 minutes in the microwave, cover the bowl with ). Transfer to a small bowl and allow to cool to room temperature. In a large bowl, beat together the remaining 1/2 cup butter, the cooled browned butter, cream cheese and vanilla extract until well combined. Gradually blend in the confectioners’ sugar and continue adding it and beating the frosting at high speed until mixture is thick, creamy and spreadable. 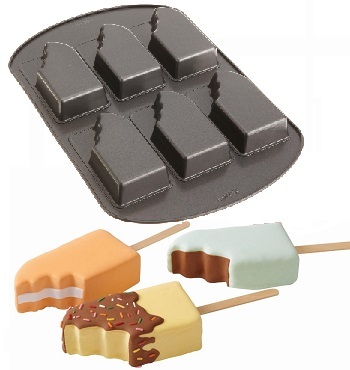 Spread onto cooled cupcakes. Those look great. You totally hooked me on browned butter in baking. This one will DEFINITELY be one I make soon!! Did you brown the 3 Tbs of butter or the 1/2 cup? I don’t see it stated in the instructions. Joy and Brenda – Good questions. In the frosting recipe, I see that it is a bit confusing. Only part of the butter is browned – the 3 tablespoons of butter – and the rest is softened. I did it this way so the frosting would have the texture of normal buttercream with a browned butter flavor. Joyâ€™s question is totally legitimate. She is referring to the Brown Butter Cream Cheese Frosting which lists two amounts of butter (3 tablespoons AND 1/2 cup). Step #2 clearly states â€œbeat together BUTTER, BROWNED BUTTERâ€¦â€. So the question, again, is which amount of butter gets browned, the 3 tablespoons or the 1/2 cup? Hi, woule like to ask, if i were to use browned butter in a recipe (cake) which called for room temperature butter, will it affect the outcome? Jaclyn – Your recipe will have a slightly different flavor, but it should not dramatically change the finished product in terms of consistency. When you prepare you browned butter, let it cool completely to room temperature or refrigerate it to firm it up to a solid. It can then be softened and creamed with sugar easily. In the cupcakes can I use low-fat or soy milk?